Mary Beth Carlson is a songwriter, performing and recording artist, author, inspirational speaker and former Teacher of the Year. Much of her original music has been composed in honor of her daughter Jody, who was born with cerebral palsy and autism. She has written and performed music specifically for the International Special Olympics, Arc, Children’s Cancer Research Fund, and the Alzheimer’s Association. Fortunate to have opportunities to perform for a variety of distinguished audiences, she was particularly honored to have been invited by the Billy Graham Evangelistic Association to present a concert of restoration to guests from forty countries at The Cove in Asheville, NC. Decision Today, Dr. Graham’s nationally syndicated radio program, interviewed her as their featured guest. She’s been invited to participate in disabilities outreach conferences with Joni Eareckson Tada, internationally renowned author, artist and speaker. 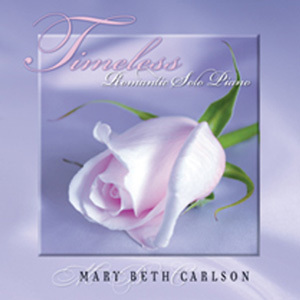 Mary Beth’s piano orchestral arrangements have been featured on several recordings with internationally recognized artists including Sandi Patty, Darlene Zschech, Sheila Walsh, Kelly Willard, Jim Brickman, The Blenders and others.